Expression: what exactly this means will depend on the book you’re listening to, but is the level of expression appropriate for the book? Do they avoid falling into melodrama? Do they provide enough emotion to make you invest in the story? If they are narrating nonfiction, do they sound interested in their subject matter? Accents and vocal differentiation: Are any necessary accents believable? Can you tell one character from another? Voice: Do I want to sit and listen to this person for 8-20 hours? Oh, that is such a good point about the narrator fitting with the book!! I am learning so much this week, thank you so much for hosting this! How old the narrator sounds can definitely throw the whole thing off for me. I once listened to The Hunchback of Notre Dame and the narrator sounded so old and whiny it ruined the book for me. Jen, thanks for this great week of discussions. I figured today was the best day for me to post a comment about all the great narrators and other audiobook industry people who it’s been my pleasure to feature in my video interview series for June is Audiobook Month. I hope your readers will check it out and see some of their favorite narrators talking about what projects have got them excited, as well as get introduced to some they haven’t known about or heard before. Connection to the text–that’s what makes a good narrator. Without that bond, the words aren’t authentic; they’re just read. Cassandra Campbell and Rosalyn Landor are on my list of top narrators, too! I haven’t come across any audios where the narrator doesn’t fit the character due to age, but I can see where that might detract from the listening experience. Good tips on narration! I couldn’t think of a thing this morning! It is true that you want a narrator to sounds the age of the person(s) he/she is putting a voice to. I’m not sure I’ve listened to any of your favorite narrators besides Simon Vance. Where should I start? You can get both Bahni Turpin and Cassandra Campbell in The Immortal Life of Henrietta Lacks PLUS I think you’d be interested in the story itself. Oh, I did listen to that one. I’m turning into my mom – she can never remember what movies she’s seen. Oh, that’s right, it was on your flowchart last year, wasn’t it? I know what you mean about Carolyn McCormick not being the best fit for The Hunger Games. But for some reason I still enjoy re-listening to those books and always get something new from them. Looking forward to checking out the narrators on your list! Wonderful questions on narration – I look forward to seeing everyone’s answers! I know that for me, the quality of a narrator’s voice (that listenability) is so subjective. And for my kids, too. I think that something more subtle is: does the narrator convey the tone of the book? Whether fiction or non-fiction, that’s an important factor for me. Not that every moment has to be “weighty” or “snarky” but that the overall feel of the book works. Does that make sense? I agree. Get the tone right and the rest will follow. I’ve three favorites, but I’ve only listened to just one of their reading. So not sure if they do similar great work in others. But will gladly find out. Just posted. Thanks for starting the discussions. Great topic of discussion. There’s nothing worse that a good book with a mediocre narration. On the other end of the spectrum, a great narrator can make a good book amazing! Just downloaded “The Invisables” by Dan Savage per your suggestion (among others this week) that he is a great narrator. I cant’ wait. Hope you’re able to find the INCORRIGIBLE CHILDREN at your library! They are really awesome. If they end up not having them, they aren’t priced to badly on iTunes, I think they are each around $15. I actually ended up buying the third one because my library didn’t have it and they were taking a long time to secure it once I had requested they buy it. Anyways, hope you’re enjoying some wonderful stories! I never even thought of that for the Hunger Games narrator. Mind you, I read the book, rather than listen to the audio, but I do have the audio for one day when I feel like reading it again. I also like to be able to differentiate between the different characters … I think that Jeff Woodman did an awesome job of this in ‘An Abundance of Katherines’ by John Green. That was the first real novel that I listened to in audio and it was fantastic. Not my favourite John Green book, but the audio was very well done. And a great poing — do I want to listen to this person for 8-10 hours? A narrator can really make or break a book! Sigh. I’m a ridiculously picky listener (hence my post for today). The hardest part is that it’s completely subjective: they’ve got to hook me on the lure of their voice alone in those first 30 seconds or I’m likely to bail. That said, I’ve hung in there and been very rewarded once I got over whatever initially annoyed me. My favorite narrator is Lorilei King. When listening to her, I never have to guess who is talking. She is fantastic with the different characters. I hate to be listening to a good story and get lost wondering who is talking. There are many good narrators, however, not everyone connects personally to the listener. For me Barbara Rosenblat, the late Frank Muller and Jim Dale manage to create an immediate bond, it’s very subjective. Johnny Heller sounds great with American Noir and Scott Brick is priceless with works such as In Cold Blood. Casting is an art form and talent. Your comment about whether you can spend 8 to 20 hours with a narrator is spot on! I had a hard time picking the topic so I briefly touched on both – qualities in a narrator I like, and narration preferences! 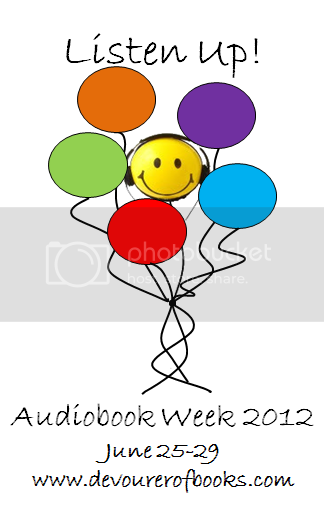 Here’s my Audiobook Week Narration Preferences post! I didn’t really address this day’s topic but I couldn’t figure out where to get to the appropriate linky-linky spot! But as long as the voice fits the author’s in my mind voice and they don’t screw up male/female voices, I’m OK. but I have only listened to a handful of books ever,so I may not yet have a clear yes/no classification for good narrators. YET.